Keep your Portaloos, wading knee deep in mud, accidentally drinking from a beer that someone's ashed their cigarette in - as far as I'm concerned, the BBC Proms is my idea of a music festival. Champagne, classical music, seats in the box with a vantage view - how very civilised. Not that I'm 'old for my age' - I've done my far share of rolling around in haystacks and twisting my ankle while crowdsurfing (admittedly all while off my face) is just that mostly-teetotal, somewhat-grown up Jasiminne likes listening to music in comfort. Last season I finally saw my teenage idol, Rufus Wainwright, live at the Proms. This year I missed my chance to grab tickets for A Sondheim Cabaret but! Henry consoled me with tickets to the first night! Not a moment to spare either, we'd left it late and nearly all the acceptable seats were sold out, but luckily he managed to snag us a box on the second tier. We were sat right beneath the fireworks (more on that later) and shared our tier with a brass band (just several boxes down) - Henry and I were literally in the thick of the action. Please excuse my lack of 'action shots' (my photos were taken before and after the performances, never during, naturally) - I've filled in the gaps with a couple of screenshots from iPlayer. A seat with a view - I like to be above it all, better to survey my surroundings like a bird of prey. From our box, Henry and I were in an exceptional position to people-watch - we spotted a couple of prommers actually lying down in the arena during the performance, hands under their heads. What is this, Glastonbury?! Our brassy and sassy neighbours. It was a gorgeous evening. We were privileged to witness the world premiere of Gary Carpenter's 'Dadaville' - a BBC commission inspired by and named after Max Ernst's sculptural painting. A surreal and playful frenzy that reminded me of Jan Svankmajer's films, it was fitting that it went out with a bang - literally - Carpenter wrote an instruction at the end of the score for a 'Rammstein-like pyrotechnic explosion'. I nearly had a heart attack when the fireworks went off at the end of Dadaville! One of the cannons was literally right above my head - I was leaning forward over the box when it went off, the boom and flash nearly made me jump off and plunge to my death (but not before taking out everyone on the stalls). 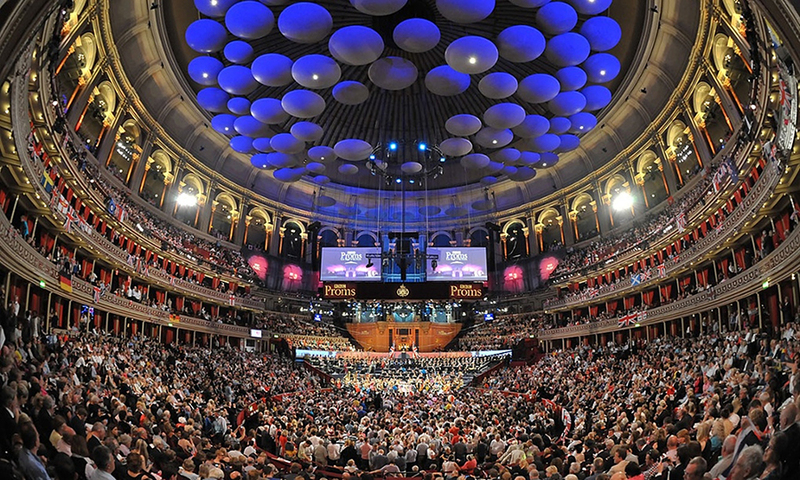 Guests lucky enough to be at the First Night of the Proms were treated to not one, but two Belshazzar's Feasts, by Sibelius and Walton. A feast for the ears, indeed - I was almost overwhelmed, I flat out started crying during Praise Ye.You could say emotions were running on a biblical level, haha. It was an incredible evening; thrilling, chilling, and emotional. I've rewatched it yet it's just not the same as being there (click to watch, below - I can't embed iPlayer so I've linked it to the screenshot). 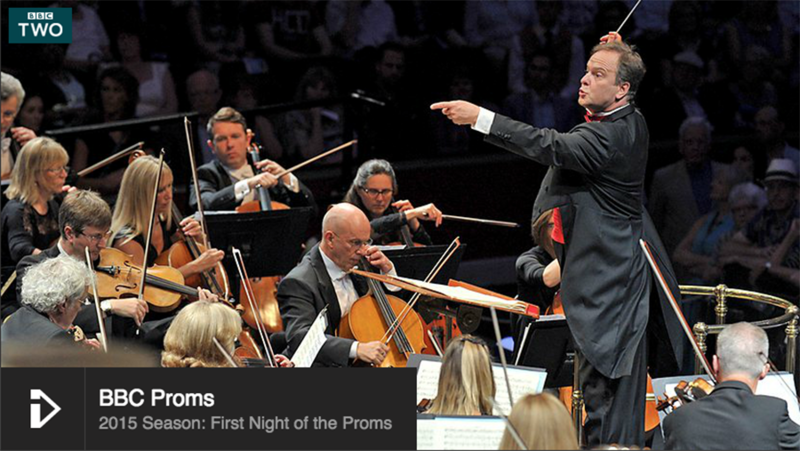 I love the proms, haven't been this year so it was great to read your review, Jasiminne. Didn't realize people could lie down in the middle! I really need to get to the Proms one year. They seem fantastic! I'm jumpy as anything, so if I was sat where you were, then most definitely would have been catapulted across the room.